Piano Accompaniment. 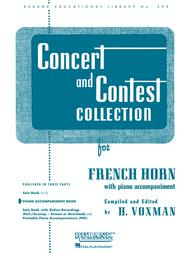 Edited by H. Voxman. Concert Band Method. Rubank Solo Collection. Solos, Classical, Contest. Softcover. 64 pages. Rubank Publications #RUBL295B. Published by Rubank Publications (HL.4471780). 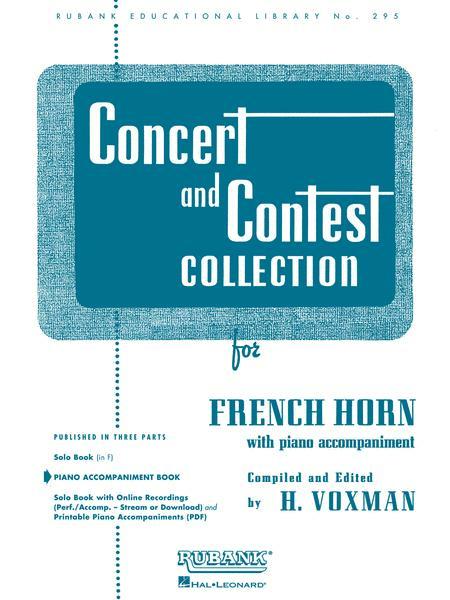 If you don't have Smart Music, a live accompanist will need this book. Font size is good. The only thing I wish publishers would consider is to make these in spiral binding for easy page turns.